Add the tomatoes, tomato sauce, beer & chicken. Simmer till the chicken is done. Serve over rice with garlic bread on the side. 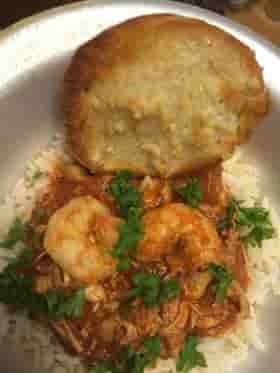 This Shrimp and Chicken recipe and photo is property of Hailey Minney and Kevin McCullin, used with permission.